You hear that? It's my heart beating like a school girl. Welcome to the Glenn Beck Program. Tonight we've got quite a program for you. Tonight I'm going to introduce you to someone I think you're gonna like. (Editor's note: Damn straight!) Don't miss a second. Now, let's go back in the time-tunnel, shall we? The Left knows that public insurance option will put employer-based private insurance out of business. Someone once said to me this is a Trojan horse for the single payer, and I said to them, "Listen, well it's not a Trojan horse, right? It's just right there." I'm telling you, we're gonna get there, over time, slowly, but we'll move away from reliance on employee-based health insurance, as we should. There was a guy from the insurance company who argued against the public insurance option saying "it wouldn't let private insurance compete." [Garbled] He was right! I don't think we're gonna be able to eliminate employee coverage immediately. There's gonna be potentially some transition process. Yeah, I think we're in that transition process right now. Their intents seemed very clear. Y'know, for anybody who didn't want to play politics. Yet, when we pointed this out, we were called liars... by a very important man. No, apparently not. Shocking new study out, for anybody who listened to that guy [Obama]. 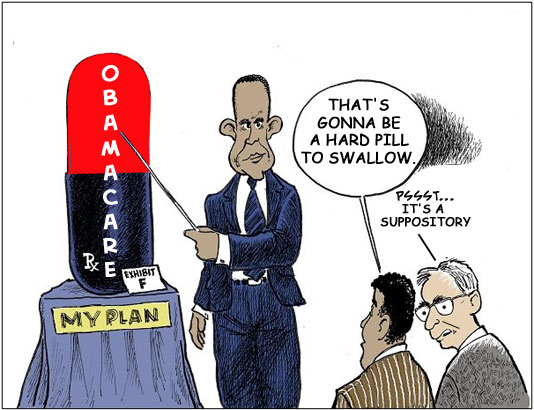 It is found now that once Obamacare fully kicks in in 2014, the amount of employers who will stop providing their employees with health insurance is vastly greater than expected. Not by me, 'cause it's only 30%. I would have expected it to be a lot higher than that. The 30% of employers in the country are now saying that they're just gonna dump everybody into Obamacare. It's almost like this has been a Trojan horse. Of course, all of that paid for -- by you. Plus, the study shows that employers that have a high awareness of Obamacare's ins and outs -- like me (cynical chuckle) -- are even more likely to dump employees and send them into Obamacare, to the tune of 50%. Aw, this is gonna be sweet for your tax dollars. (Gasp) Can you imagine the doctors that you're gonna have -- or not have. Or the surgical things that you could have -- or not have. Oh, it's gonna be great for us! 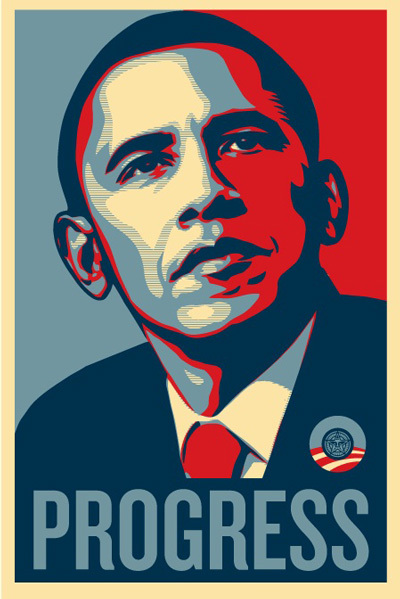 It almost seems like Mission Accomplished for President Obama, doesn't it? Unless it's just one of those, oh, what does George Soros call them? Oh yeah, "unintended consequences". Oh yeah, they're so pesky, aren't they? Now that everything is played out, let's go over the film again. Which one was telling the truth about Obamacare? Next on the agenda: the economy. And the Middle East. And jobs. Who's tellin' the truth? Well, I'm gonna introduce you to a guy that might be telling you the truth, one that you can actually hear and feel. You know what I mean, "now that sounds right." And maybe he's a guy you could vote for. Don't go anywhere. Well, Hello America. Gonna be very careful and talk about the things we need to talk about tonight: Progressives and their influence in the Middle East. Progressives have now stopped calling themselves progressives. I mean, they're doing it again, but they stopped doing it once they spooked America in 1920. In 1920, this guy was elected. He wasn't a Progressive, because everybody between 1913 and 1920 was like This progressive bandwagon is great, and then everybody in America was like Aaaaaaaack! Kinda like you are now? Yeah. That's what led to this man's election. 8 Harding. One of the biggest landslide elections in history: 60 to 34 percent. Yeah. That's when the term liberal became a popular alternative. I'm just a liberal. Uh, really? When Liberals started getting a more negative connotation recently, they started hiding in the shadows again, and they started popping up in all sorts of institutions. We're a Progressive organization -- because everybody forgot, they knew you wouldn't read history. "Progressive"? That made everybody go Aaaaaack, so what they did is say "We're progressive, and we've got this institution" with all very pro-American sounding names, like Center for American Progress. Ooh, that sounds nice. Or Americans for Prosperity. Mmm. Americans For All Kinds of Cool Awesomeness. Y'know, things like that. Well, guess what's spreading -- yep, another American goody -- spreading over to the Middle East. Now the Muslim Brotherhood is taking a page right out of the Progressive playbook. Banned in Egypt since 1954, the Muslim Brotherhood -- and the one that I've been telling you the whole time: run, run from the Muslim Brotherhood -- but no, not the Progressives in Washington. No. They say they're good. They're great. Oh, they're sunshine and lollipops. Well, they're changing their names. In the fashion of all good Progressives-- [picture pops up] 8 My gosh, it looks like the EPA logo, doesn't it? No, it's not. It's not. It's only slightly more evil than the EPA. It's the Muslim Brotherhood's new logo. They're now legally recognized as the -- ya ready? -- Freedom and Justice Party. Oh. Oh, well I was so wrong on this one that if I had this 10 thing plugged in anymore I'd call the President and apologize and tell him I was wrong. Man, you guys were so right. I didn't know the Muslim Brotherhood... I thought they were the guys with the big, huge swords that were like, Kah! [slashing noise]. No. They're the Freedom and Justice Party. They're just a happy-go-lucky secularist organization who only wants freedom and justice. And who isn't for freedom and justice?? Oh, I almost forgot. Another update in Egypt. 11 They just released its longest standing political prisoner -- the leading figure in a radical Islamist jihad and a guy suspected of assassinating President Saddat two years after signing a peace treaty with President Carter. Y'know, Sadat. More freedom. Or is that justice? I'm not sure, I'll have to ask The Party. Oh, I'm sorry. (hangs up the red phone.) It was the White House. They wanted to know why I wasn't talking about Weiner again. I dunno. Maybe this is a little more important. Whaddaya think? The Arab Spring. Mmm. Breathe it in! It's great -- freedom and justice is in the air! Wisdom and compassion require that a killer be put to death, that a married adulterer be stoned, and that the hand of a thief be chopped off. That is true compassion. Chopping off the treacherous hand of the thief, to protect the entire nation is compassion, wisdom, and mercy. Pay close attention. 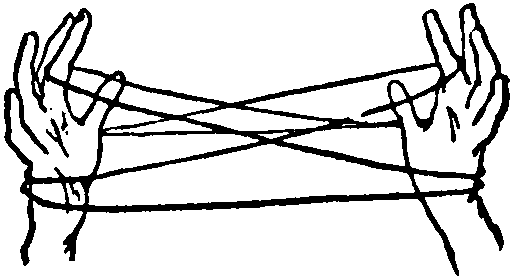 How should the lashing be performed? People misunderstand this. First of all, who carries out the lashing? It is carried out by somebody of moderate build. Don't bring me some (Mike) Tyson or Muhammad Ali Clay, God bless him, who would kill the guy with the first lash of the whip. But don't bring me an anemic weakling who needs an infusion, to whip him. Get me a man of medium build. Aw. That's compassion. It's gonna be a fun ride, right into hell, isn't it? Can I ask a question? Is there anybody that understands anymore that there is good and evil in the world? And they're pretty darn clear which one is which? It's kinda like light and dark. I dunno. I've never walked into a room that was completely dark and gone, "wow, it's so bright in here, turn down the lights." No, I can tell when it's light; I can tell when it's dark. 33 I can tell good versus evil. I can see it. And is there anyone else who can see it anymore? Hello Washington! 34 Is there anyone in Washington that's awake? Is it just us? Really? There are people who are awake. 35 And gang, if you're awake... Quite honestly, there are times when I just think, 'to hell with everybody else.' You just do what you're supposed to do. Because, you can't wake these people up. They're still busy playing politics and everything else. It's up to you. Open your eyes. And you know what? People will tell you "Oh, I'm wide awake that's not happening those guys over there there's no need to pay attention..." You know who those people are? Those people are like my dad. My dad, he worked all of the time, and he'd lay on the couch, and we'd be watching Wild, Wild West -- do you remember that show? I loved that show. And we'd watch Wild, Wild West, and he would fall asleep. And I'd go, "Dad. Dad, wake up. You're missing Artemis, and he's got like a midget guy..." and so my dad would always say this, "I'm just resting my eyes." (chuckle.) No, you're not. No, you're not. You're asleep. That's what many people in America are doing right now. I'm not asleep, I'm just resting my eyes. No, you're not. You're dead asleep. I've never asked to meet a politician. But I was sitting in, I don't even know the name of this arena, and I was gonna give a speech, and he was speaking before me, and I honestly didn't want to be there, because I don't like being around a lot of politicians. And I'm sitting there, and I'm watching these politicians speak. And this guy gets up. Now I had never seen him speak before. And it was one of the best speeches that I've ever seen. It was riveting. And the thing I like about it was, he didn't care. He just said what he meant and meant what he said. And when he was done, it wasn't (affected accent) "God bless America, and hey! Trudy, is that you? We gotta get together!" None of that. He just finished, and he walked off. I loved him. I looked at one of my guys, and I said (hushed voice) "Can I meet him? 'Cause I think I'm a fan." I wanted to bring him in, because I think we have -- how many days left do we have on this program? Twenty-two days left before the end of this program. And by the way, if you want to know where I'm going, what I'm doing, you can go to GlennBeck.com right now, there's information up there. 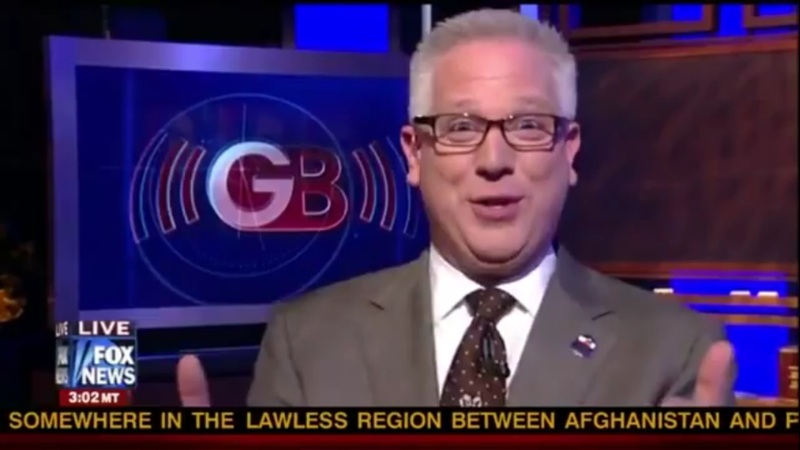 GlennBeck.com. Go there right now and find out what's happening in my life and how we can connect. Anyway. I brought him on tonight, because I wanted him to talk about jobs and the Middle East and the head of GM who wants to now impose a dollar a gallon gas tax on you. His name is Herman Cain-- (walks over to chairs to join Cain.) -- who doesn't want to impose a gas tax. Cain: How you doing, man? Beck: How are you, sir? Beck: Good to see you. Beck: Good to have you here. 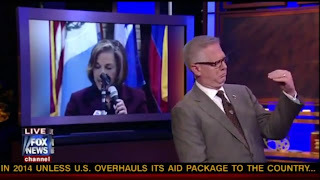 Beck: I have been watching you and listening to you. And, people say that we don't have anybody to choose from. I think we have a few people out there -- not necessarily the ones that everyone is crowing about right now -- but we could pick from who could actually run this country. I wanted to get your opinion on a few things. First of all, are we really looking at good and evil in the Middle East, and is it really clear to see which is which? Cain: Because I looked at the issues more than just what was on the surface. I had to look a little deeper. And the deeper I looked at the issues and what wasn't being done in Washinton, D.C. and some of the things that were being done, like forcing legislation down the throats of the American people. It's scary. So, yes. It is as clear as day. 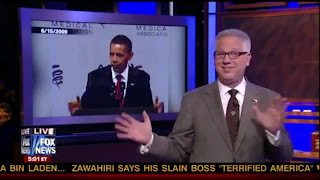 Beck: Are we... Tell me where you stand on President Obama's speech on the 1967 lines. Cain: I believe that he threw Israel under the bus. Secondly, I believe it was discourteous. Knowing that Prime Minister Benjamin Netenyahu was going to be here two days later, to do that and then have him in Washington D.C. It's rather hypocritical. Beck: And then to leave. Cain: And then leave. I even had a reporter ask me, did I think that Benjamin Netenyahu was rude to the president after he gave him a tongue-lashing in the White House. Cain: I said No. He had every right to let the President know how he felt about saying what he said when he said it. Beck: When the President says the Muslim Brotherhood, it's not a problem. Oh, I'm sorry -- The Freedom and Justice Party -- not a problem. Are they a problem? Cain: It's been a problem since the begin-- because it's a terrorist organization. They can change their name all they want to, but it's not going to change their stripes. Beck: You're going to get heat, because I've already seen it, you said in response to a question, and I can't remember exactly what it was, but this was the way it's being spun. You said you would not appoint a Muslim to anybody in your administration. Cain: The exact language was, when I was asked, "would you be comfortable with a Muslim in your cabinet." And I said No, I would not be comfortable. I didn't say I wouldn't appoint one, because if they can prove to me that they're putting the Constitution of the United States first, then they would be a candidate just like anyone else. My entire career, I've hired good people -- great people -- regardless of their religious orientation. Beck: So wait a minute. Are you saying that Muslims have to prove, that there has to be some loyalty proof? Cain: Yes. To the Constitution of the United States of America. 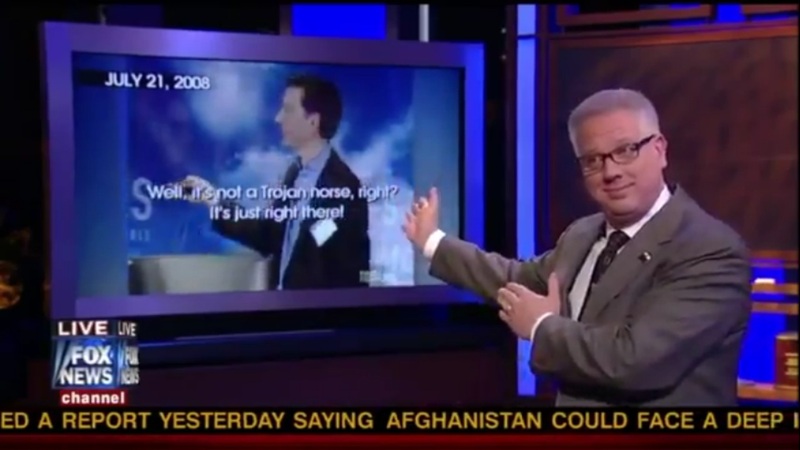 Beck: Well, would you do that to a Catholic? Cain: Nope. I wouldn't. I wouldn't. Because there is a greater dangerous part of the Muslim faith than there is in any of these other religions. I know there are some Muslims who talk about, "But we are a peaceful religion." And I'm sure that there are some peace loving Muslims. Beck: I know them. I know them. Cain: I know some, too. Cain: --in Iowa, it came out of nowhere, number one. Let me tell you what was in the back of my-- what I immediately thought of and why I answered the way that I did. I heard Benjamin Netanyahu give a speech a few months after 9/11/2001. Cain: And I will never forget what he said in that speech. So, that's my point of reference. Number one, terrorism is gonna last a long time. Cain: He said, this is what Americans have got to learn. And he said, number two, they want to kill all of you. No question. That wasn't gray, that was really clear. 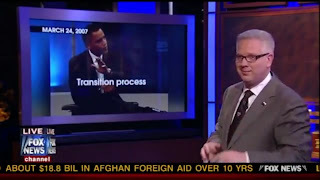 Beck:--Sharia law creeping into our society. Cain: They had it on the ballot. 70% of the voters said "no Sharia law in Oklahoma courts." Then, the local unit of CAIR, the Council of American Islamic Relations, got a federal judge to issue an injunction to prevent carrying out the law. Beck: Okay, so how do you... Because, people here this at home, and all they do is get frustrated. Beck: Because, 70% -- I mean, I get frustrated, because really, 30% said no, sharia law is cool? Beck: But 70% say that, then it's overturned and nothing can happen. It's like the Weiner thing I said yesterday on the show: What difference does it make? What are you gonna do about it? 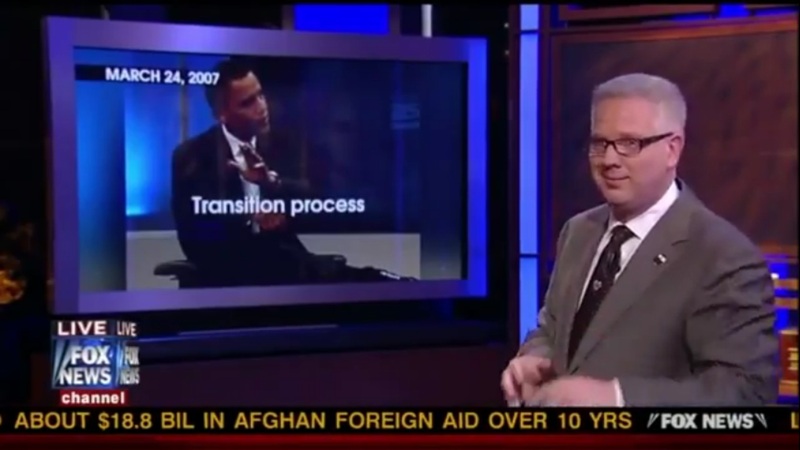 Beck: Everybody sits around and the whine about it, and nothing changes. And so you get angry. Beck: So what does the average person do? When they hear something like that. Cain: The average person should do, they should write letters to the editors of their newspapers, if they still read 'em, because you know a lot of them aren't reading them, they should make their opinions know. But here's one of the biggest things they can do, which is what's happening in this country, get active with somebody with some organization. Don't just sit there, do something. This is one of the reasons that I was inspired to consider running for President of the United States of America. Beck: The things that I have heard come out of your mouth, I agree with. And I wanna-- we were just talking during the break, I asked if you believe our allies have changed, that this president is changing the very landscape of who our allies are: Great Britain... Does he consider them an ally, really? Cain: Uh, absolutely not. He threw them under the bus. Beck: It's amazing, isn't it? 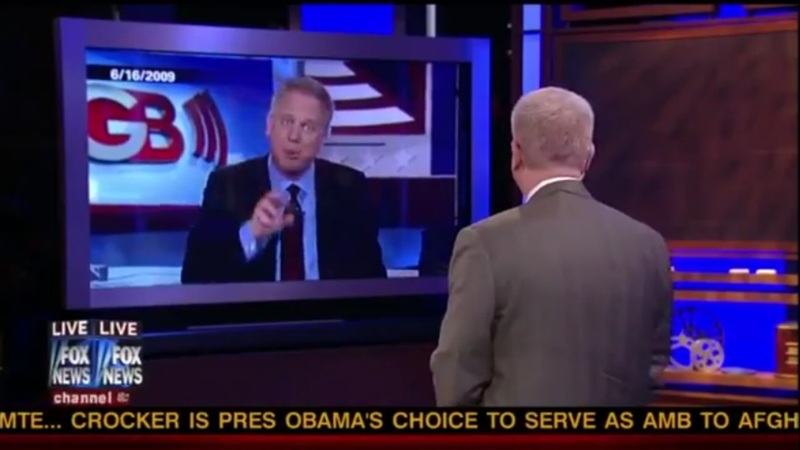 Beck: If Israel were attacked, do you think we would defend them? 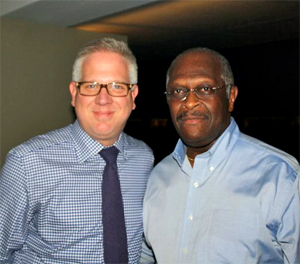 Cain: Not with this president. Not with this president. And I have gone on the record to say that if I'm the president of the United States of America, if Israel is attacked, you have attacked the United States of America. That's how strongly I feel about building the relationship. Beck: Why? Why do you feel that strongly? Cain: I feel that strongly because Israel has been our most consistent ally and friend in that part of the world. We have shared values, in terms of human rights. We have shared values, in terms of religious beliefs. We have so much in common with Israel, and they have really stood courageously in that part of the world, surrounded by their enemies. And oh, by the way, speaking of courage... You're going to be doing Restoring Courage in Israel? I'm going to be there with you. Cain: We need some courage back here at home. Beck: Do you think people understand that-- Do you agree that Israel is a keystone? Beck: And you pull that out, and the West collapses. Cain: Yes, yes. Because then all of the attention, instead of being on trying to destroy Israel and rallying the sabers, then they're going to redirect all of that hate. Cain: Chairman of the Fed. Beck: Kansas City. Um, which I'm really kind of dicey about, and I wanna talk to you about that later. 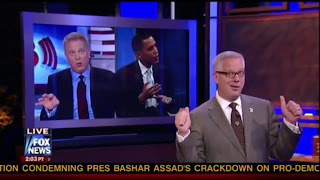 Beck: But, um, you can read the tea leaves and see what's going on around the world. Cain: Yes. It's getting weaker. The only question is how fast will it fall. Cain: It started with Greece, now you've got some of the problems with the other countries. And what's gonna happen is gonna depend upon on how they choose to deal with the problem. So, it's headed in that direction. Beck: Things are getting weaker here in America, would you agree? Beck: I believe it's being intentionally made weak, do you? Cain: Yes. I do, too, also. Beck: Texas created 38% of all of the jobs last year. 38% of all of the jobs created in Texas. Except, that's the state the president continually throws under the bus. Cain: Because this president, unfortunately, has no clue, with all due respect, of what creates jobs. Right to work states, lower taxes, lower regulations, no government mandates. Texas has one of the most business-friendly environments in this country. Beck: You know one of the best things about Texas is it tells its state government to go home. Come back every other year. Cain: Now, I was about to say. That's another reason Texas is doing so well. Cain:--and get out of dodge. Beck: And people would say here, that in America, you can't do that. "What are ya gonna do?" "I dunno, Texas is gettin it done!" Cain: They are gettin' it done, and a lot of other states. Y'know, in Georgia, where I reside now, they meet once a year, but it's for a limited amount of time, and then they go home. I think that we probably need to do that in Washington D.C.
Beck: I think President Obama is actually working on that plan to send Congress home. They're almost irrelevant as it is. Cain: But it's one of the most business-- It's not rocket science, Glenn. The reason my message has been resonating is I've been talking about common sense solutions, and that's what's resonating with people. It's common sense. If you create business friendly environments, like we need to do to this entire country, this is why the economic approach that I've been talking about when I'm talking to people across the country -- lower top corporate tax rates, lower the individual tax rates, make it 25% maximum, that happens to correlate with Ryan's plan, but we didn't corroborate on it. It just makes sense. So spent taxes are repatriated profits. take capital gains taxes to zero. Zero. Don't compromise somewhere in the middle. We need it at zero, and here's why. This economy is not going to come out of this stale level that we are, this stagnant anemic growth, in the next year to six months. President Obama's senior advisor Austan Goolsbee was on a TV show Sunday, and I follow him. he was sitting there rather uncomfortably trying to defend why that 9.1 number is there. And he made a statement that is true, that a lot of people didn't even pick up on. He said, and I quote, the private sector is gonna have to lead this recovery. And he's absolutely right.